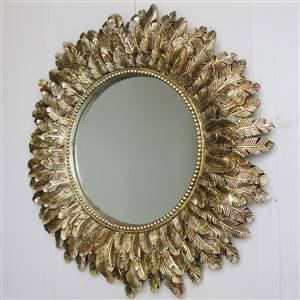 Traditional feather effect round mirror adds a hint of glamour to any wall with its textured frame and gold finish. Dia. 41cm. Complete the look with it's matching photo frames.